I am not sure how many of you will be excited to check your balance right after your salary is credited. For employees who get their salary for the first time, it is a dream. If you have account with SBI bank, SBI Online balance enquiry facility is there to check your sbi account balance easily. People who are in emergency might need to check their balance immediately to know their status. Similarly, there will be many practical needs that need to be fulfilled by the money in your bank account. Knowing the bank account balance is important always. There are so many ways to check your SBI account balance. Here we have listed the ways to check your SBI account balance easily. This is the simplest and easiest way that requires no sophisticated or technical knowledge. Simply walk to your nearest SBI account with your bank passbook and know your sbi account balance easily with the help of the bank directly. You can even have your sbi passbook updated with the latest information. Many of the corporate people will not be able to spend time to visit SBI bank branch or wait in toll free helpline to know their sbi account balance. All they like to do is doing sbi online balance enquiry. SBI balance check can be done online anytime even when you travel or when you have your food. So, SBI online balance enquiry is a quite useful feature provided by SBI bank for its account holders. Just login to your internet banking with your net banking id and password to view the balance. 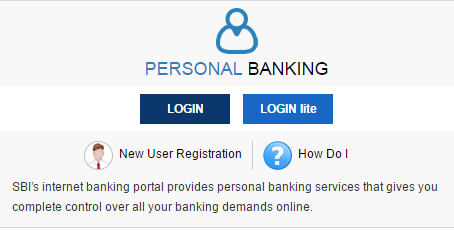 If you are not a registered user, you have to register first. In the account summary page, there will be a link called 'Click here for balance' to check your balance online. You should also know your sbi card handy to use SBI account balance checking through SMS facility. Just send an SMS to the number 5676791 in the below format. Send 'BAL XXXX' to 5676791. XXXX - last 4 digits of your SBI card. Please note that there will be a premium charge applicable for this SMS. The charge is not taken by your bank. It is taken by your mobile operator and sms facility provider. You need to have your mobile number registered for making sbi balance enquiry through missed call facility. You can make your SBI balance enquiry only through your registered mobile number. Also, this facility requires one time registration process to use the missed call facility from your mobile number. To register your mobile number for using this facility, you have to send an SMS in the following format. SMS REG(space)account number to the mobile number 09223488888 from the mobile number that is available in the bank record. Once registered, you can get the last ‘clear' balance on the SBI account by giving a missed call Missed Call or send an SMS ‘BAL' to 09223766666. SMS charges will be as per customer’s mobile bill plan. For Missed Call, there is no charge. If the customers listen to IVR of 3 seconds which will be played after 4-5 rings, then customer will be charged as per customer’s mobile bill plan for 3 seconds.